Have you ever wondered how it would be to hire your personal photographer? 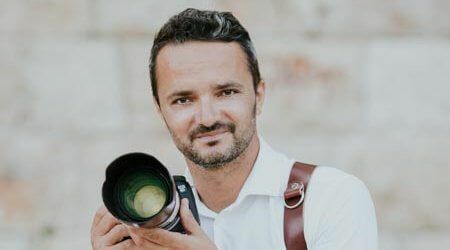 Costi is a professional localgrapher and is ready to help you to capture your memories from this amazing city. You decide whether you want candid or posed photos, or if you want Costi to act more like a paparazzi photographer. Costi is also available for photo shoots in Nice and Cannes. Book Costi, vacation photographer in Antibes, now. Candid, friendly approach and accommodating. The sea, sports (football, tennis, basketball,) good simple food. Antibes Old Town with the Walls and Picasso Museum, The Rocky Beaches of Cap d'Antibes , Antibes Lighthouse and the panoramic views.